Clickable site seals are a great way to show your visitors you are using SSL and take security seriously. GlobalSign’s dynamic site seal is included with every certificate and can be used on any secured page. The level of security depends on the number of bits used to generate encryption key. All certificates support up to 256-bit encryption. 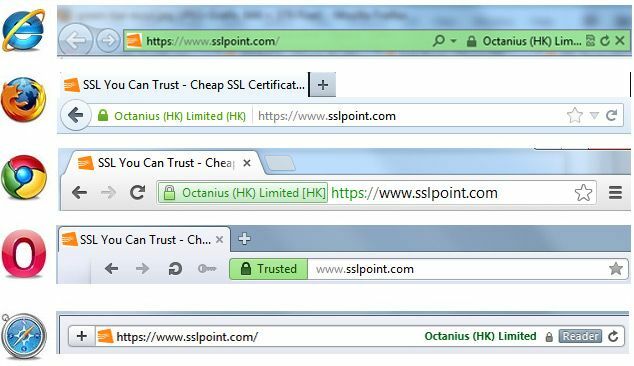 Get the customer impact of the green address bar for your business’ web site with an affordable GlobalSign EV SSL Certificates from SSLPOINT.